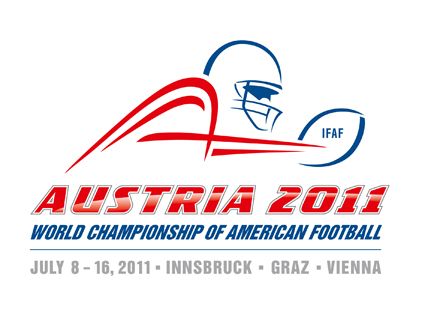 Australien, Deutschland, Frankreich, Mexiko, Kanada, Japan, Titelverteidiger USA und Österreich spielen im kommenden Sommer in den Städten Graz, Innsbruck und Wien um den Weltmeistertitel im American Football. Ein kleiner Post zu seinem 70igsten Geburtstag! – Happy Birthday! Solltet ihr mal gefragt werden von wem wohl das Original von einem sehr guten Lied ist, sagt “Bob Dylan“. Zu 70% liegt ihr damit goldrichtig – ja so gut ist der Mann aka the world’s greatest singer-songwriter! 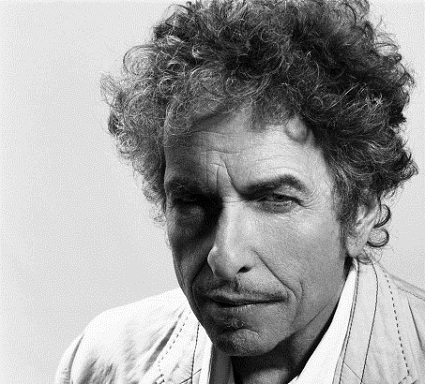 Bob Dylan (born Robert Allen Zimmerman; May 24, 1941) is an American singer-songwriter, poet, and painter. He has been a major figure in music for five decades. Much of his most celebrated work dates from the 1960s when he was an informal chronicler, and an apparently reluctant figurehead, of social unrest. Though he is well-known for revolutionizing perceptions of the limits of popular music in 1965 with the six-minute single “Like a Rolling Stone,” a number of his earlier songs such as “Blowin’ in the Wind” and “The Times They Are a-Changin'” became anthems for the US civil rights and anti-war movements. His early lyrics incorporated a variety of political, social and philosophical, as well as literary influences. They defied existing pop music conventions and appealed hugely to the then burgeoning counterculture. Initially inspired by the songs of Woody Guthrie, Robert Johnson, Hank Williams, and the performance styles of Buddy Holly and Little Richard, Dylan has both amplified and personalized musical genres, exploring numerous distinct traditions in American song—from folk, blues and country to gospel, rock and roll, and rockabilly, to English, Scottish, and Irish folk music, embracing even jazz and swing. ‘Atomic batteries to power…turbines to speed…Roger, ready to move out.’ Yes bat-fans, as any caped crusader knows, if you really want to strike fear into Gotham City’s master criminals you need a Batmobile. 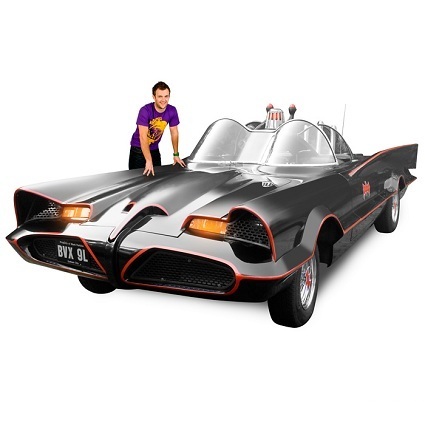 But not just any Batmobile, a fully-loaded replica based on the iconic 1966 mean machine driven by Adam West in the classic TV series. KAPOW! Needless to say Replica Batmobiles don’t come cheap. But suave millionaires and their youthful wards don’t care about money, and neither should you. This is your chance to own a custom built, officially licensed replica of the most famous car on the planet. Holy mechanical marvel! Lovingly built by skilled artisans across the pond (no, not Alfred the butler), each Replica Batmobile packs the power of a brand new GM350 crate engine beneath its fibreglass body, so racing from the Batcave to Commissioner Gordon’s office in just a few bat-seconds is easier than sliding down the Batpole. But what about those all-important bat-gadgets? Well prepare to soil your satin pants (worn over your tights, natch) in excitement because this triumph of engineering is fully loaded, and includes a working rocket exhaust flamethrower, opening roll top dashboard doors, flashing red beacon, automatic Batbeam antenna grid and glowing Detect-a-Scope radar screen. Great Scott! Unlike other TV/movie replicas the Batmobile is more than a prop, it’s a fully operational, road-worthy car with all the bells and whistles, including gauges, push-button ignition and working lights. This crime-fighting classic even comes with 21st century features such as a dash-mounted DVD player, electric actuators that open the hood and trunk, and a six speaker sound system. Dancing the Batusi as you pull up outside comic book conventions has never been easier! Of course any car worthy of the Dynamic Duo has to look the part and the Batmobile truly excels. As well as chromed rocket tubes, double ‘bubble’ windshields and custom leather seats, a stunning $20,000 paint job is included. Even the underside of the car is painted black. Holy attention to detail! If you can’t pull Catwoman in this there really is no hope. To be honest (and Batman always is, kids), we can see no good reason (apart from the trifling matter of $150,000) why anyone wouldn’t want a Replica Batmobile. You can keep your Ferraris and Maseratis, this is the greatest car in the world. Must rush, the Batphone’s flashing. Dananananananana-na BATMAN! Nach Terry Crews gibt is wieder ein neues Video mit Isaiah Mustafa (the Old Spice Testimonial)! Anlässlich seines Studiumabschlusses lud Mag. Flo ins “Spice” nach Wien ein, um selbiges Event gebührend zu feiern. 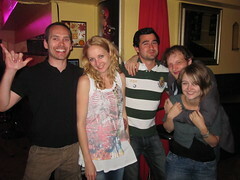 Es war genial! Nochmals vielen Dank für die Einladung, einen herzlichen Gruß an alle Partygäste und nochmals herzlichste Gratulation an unseren Herrn Magister. Außerdem ein großes Shout-Out an die Schönauer Bros für Kost, Logis (mind. 6 Stern) und Stadtführung! “Es ist alles sehr kompliziert” ist ein Satz, und er stammt von niemand größerem als dem Sinowatz Fredl, seinerzeit angeblich Bunderskanzler von Österreich. “Ich habe fertig” ist ein anderer Satz, und er stammt von niemand geringerem als dem Trappatoni Gio, seinerzeit einmal Trainer von… Red Bull Salzburg. Was beide gemeinsam haben? Beide hatten und haben fertig, zwar verschiedene Dinge und aus verschiedenen Gründen, aber das macht nichts. Fertig haben ist doch schön, gerade da es doch oft so kompliziert ist, endlich doch einmal fertig zu haben. Nicht wahr? Komplett krank, aber dadurch auch schon wieder amüsant. Dieses Tablet ist bis dato nur eine Designstudie, aber laut Entwickler soll es angeblich ab Juni 2011 um 99$ angeboten werden – for real! Es bleibt abzuwarten ob sich dies bewahrheitet oder es nur ein Fake bleibt. We would like to introduce you probably the simplest tablet device today. NoteSlate. 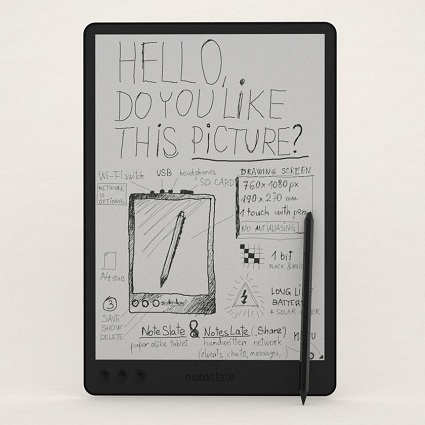 Monochrome paper alike tablet device, where the simplicity and technology evolution meets pencil and paper again. This classic instrument in new consequences. Natural look and feel through basic digital image, 1-bit image. All that networked with human touch. This new context of the classic device, this evolution, brings this tablet out of borders of what we know as electronic computer. In NoteSlate, the handwritten interactivity is trying to change the rules of what we called electronic paper. The hand and human touch is presented in all ways. Emotions expressed, ideas exposed, shared…. and Network changed. This basic human cultural device, pencil and paper, now in new post-information age. NoteSlate device in most possible simplicity, compatibility and continuity as the basic key point for further development and communications. Copy, share and communicate as you wish. The NoteSlate is trying to define the product itself, archetype, electronic paper. As simple as you wish. 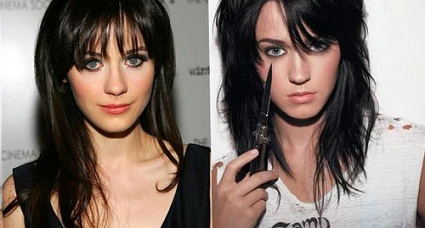 Ich hatte es mir das erste Mal bei Katy Perry & Zooey Deschanel gedacht aber es gibt noch einige weitere Beispiele für Berühmtheiten, die einem anderen Star komplett ähnlich sehen. Was wäre eine Hochzeit ohne dem dazugehörigen Polterabend? – Eben! Beim Walter ist es jetzt bald soweit und bevor er in den Hafen der Ehe einläuft trafen wir uns nochmals, um das Ganze traditionell zu zelebrieren. 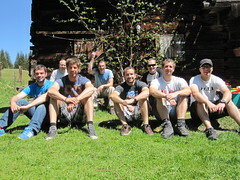 Austragungsort war die Fröstlehen Goldgräberhütte im Rauristal (Salzburg) – vielen Dank an dieser Stelle an Robert für die Organisation und Logistik. Nach dem nachmittaglichen “Gold waschen” wurde herzhaft gegrillt und die Feier fand ihren Lauf. Nähere Einzelheiten fallen unter Verschluss und auch die Photos von der Veranstaltung bleiben der Öffentlichkeit verwehrt. Es folgt ein Gruppenfoto der Beteiligten (Anmerkung: Wolfi musste aus beruflichen Gründen verfrüht abreisen und ist deshalb nicht auf diesem Abschlussphoto vertreten) und ein kleines Video das einen Einblick in die idyllische Landschaft bietet. Außerdem ein herzliches Dankeschön an alle Partypeople, es war mir ein Volksfest und natürlich Lob, Respekt und Glückwunsch an unseren Walter! A phenomenale performance!